Magnetism is one of the oldest and most fundamental problems of Solid State Physics although not being fully understood up to now. On the other hand it is one of the hottest topics of current research. Practically all branches of modern technological developments are based on ferromagnetism, especially what concerns information technology. 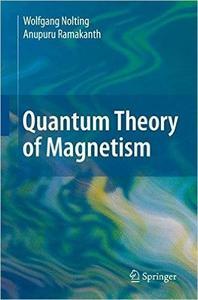 The book, written in a tutorial style, starts from the fundamental features of atomic magnetism, discusses the essentially single-particle problems of dia- and paramagnetism, in order to provide the basis for the exclusively interesting collective magnetism (ferro, ferri, antiferro). Several types of exchange interactions, which take care under certain preconditions for a collective ordering of localized or itinerant permanent magnetic moments, are worked out. Under which conditions these exchange interactions are able to provoke a collective moment ordering for finite temperatures is investigated within a series of theoretical models, each of them considered for a very special class of magnetic materials. 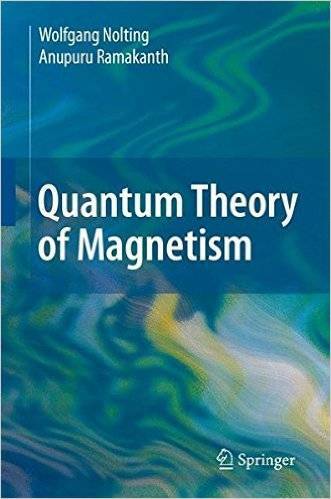 The book is written in a tutorial style appropriate for those who want to learn magnetism and eventually to do research work in this field. Numerous exercises with full solutions for testing own attempts will help to a deep understanding of the main aspects of collective ferromagnetism.